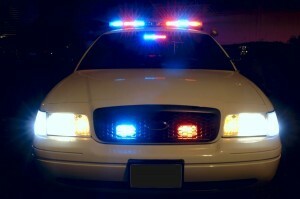 Once you see the bright lights of a law enforcement car behind you, you should know to pull over as soon as it is safe to do so. However, some drivers do not make this decision, and instead try to get away from the police officer. This decision, most likely made within a split second, could cost you in more ways than one. In the state of Colorado, eluding happens when anyone who is driving a motor vehicle knowingly eludes or attempts to elude a pursuing law enforcement officer. It is important to note that the accused does not need to have a motive to be convicted of eluding a law enforcement officer. Many people mistakenly believe that people are only convicted of eluding when they are fleeing the scene of a crime or attempting to avoid an arrest. However, that is not the case. As long as the state can prove that you were knowingly eluding a police officer, you can be found guilty of this crime. If you have been charged with eluding, contact a Denver eluding and drug crimes attorney for legal assistance as soon as possible. Eluding is a Class-5 felony in the state; when bodily injury to another person results, it is a Class-4 felony; and when another person’s death is a result, vehicular eluding is a Class-3 felony. If another person is injured, you may also have to deal with a civil suit to compensate the person who was injured in the accident. If you have received aa class-5 felony charge for eluding, you may face a fine of $2,000. For a class-4 felony charge of eluding, you may face a fine of $4,000 and for a class-3 felony charge, a fine of $6,000. Typically, these felonies carry smaller fines, however because eluding is considered a danger to the public, the penalties are increased. Traffic eluding is a Class-2 misdemeanor with a maximum sentence of ninety days in jail, along with a fine of up to $300. Besides these penalties, if you are convicted of eluding, you will also be penalized with 12 points on your driving record. Depending on your prior driving record, this could be enough to trigger a suspension of your driver’s license. It’s a serious crime in Colorado; anyone charged with eluding in the Denver area will require the assistance of an experienced Denver eluding attorney like Daniel M. Murphy. A common – and commonly successful – defense to eluding is that the defendant did not know he was being pursued by the police. The defendant can argue that he was not being careless, but rather his music was on too loud to hear the sirens or that they were too focused on the road ahead to notice the lights behind them. In some cases, the defendant could argue that he or she believed the officer was attempting to chase someone else. If the incident occurred on a busy highway, the defendant could argue that he or she was trying to find a safe place to pull over and was waiting for an exit ramp to do so. The prosecution must prove that the police officer was driving a marked car at the time of the incident. If the car was not clearly labeled as a police, sheriff or Colorado State Patrol car, the defendant can argue that he or she was not aware that the car belonged to a law enforcement officer. In many cases, the accused will also be charged with reckless driving, regardless of whether or not there was an injury during the incident. A Denver eluding attorney may be able to fight back against these charges and work to decrease the charges against, along with the sentence that you are facing. A good Denver eluding attorney will also determine if your rights were violated at any point during the stop, arrest, and booking process. If the prosecution offers evidence or witnesses, an experienced Denver eluding attorney knows how to cast doubt on the evidence and how to discredit the witnesses. Attorneys can work with investigators, forensic specialists and other professionals to form a defense strategy that will work with your case. Various defense options may become available after a prosecutor’s case has been examined and analyzed in detail by a good Denver eluding lawyer. If you receive an eluding charge, it is not an automatic conviction. You should fight the charge aggressively and obtain the finest legal assistance you can find to avoid the consequences associated with a criminal law conviction. Speak immediately with an experienced eluding attorney in Denver, such as Daniel M. Murphy in Denver. Criminal defense lawyers in Denver County like Dan Murphy can carefully review your case, address your concerns, and fight to avoid a conviction, which could stay on the records of the offender and affect their lives long after the case is closed. Denver drug crimes attorney Daniel M. Murphy gives his clients with a strong and honest defense. Representation from Dan Murphy means you will have an attorney who relentlessly fights for the most desirable outcome possible. When Dan Murphy is working with you, he will go over your legal rights, your situation, and the most idial outcomes of your case. He will work by your side to determine your best defense and wisest course of action. Attorney Dan Murphy will negotiate with the prosecutor, when possible, so you can have your vehicular eluding violation dismissed or reduced to try and arrive at a plea deal that is acceptable. But, the prosecutor is not required to make a plea deal, and if the request is denied, Dan Murphy will continue to use his legal resources to fight on your behalf. If you need a criminal defense attorney or simply seek seasoned legal advice, Dan Murphy is ready to assist you. 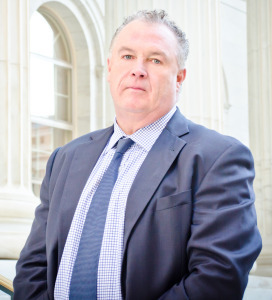 He offers several criminal defense services within his Denver office. Dan has experience defending cases involving marijuana possession, drug crimes, theft, child abuse, harassment, and property crimes. If your case requires a courtroom trial, Daniel M. Murphy has successfully represented defendants through many trials. He has an impeccable reputation and a long, proven record of success. For 19 years in the greater Denver area, Dan Murphy has been providing seasoned, skilled legal defense and personalized service for each of his clients. Each case is unique, so if you are facing an eluding charge, it’s time to consult with a knowledgeable criminal defense attorney like Dan Murphy promptly. Dan Murphy provides a welcoming and friendly office environment for his clients to talk about their legal needs. Schedule a free consultation at his office by calling the office at 303-996-8998 or filling out the form via his website. Dan’s law office can be found at East 7th Avenue, which is just two blocks east of Broadway. Free parking is always available, and if you need a payment plan, that is available.